Simply put, it's taking a well-known person from Real Life history and using this person as a character in Historical Fiction. This does mean any work of that kind, whether it's Hollywood History or a well researched and accurate Biopic of events. Or maybe classical composers were secretly sleeper agents for extraterrestrials. Whatever works. Naturally this covers a lot of works (save for non-fiction works about history), but given how often people can disagree about real history, it would be hard to draw a line between which fictional works would fit and which fictional works wouldn't. Thus all are included. Compare Public Domain Character, Anonymous Ringer, Roman à Clef, Real Person Fic, Characterization Tropes. Guts: Götz von Berlichingen (1480–1562), a German knight, was the leader of a band of mercenary soldiers and attained the reputation as a Robin Hood figure. In 1504, his right arm was struck by enemy cannon fire and a prosthetic iron arm was developed to replace it. Guts' iron arm, in his original character concept, is very similar to Götz's iron arm kept in the Nüremberg Museum. However, Miura stated in an interview that he created Guts independently and that he did not find out about von Berlichingen until after several volumes of the manga had been published, so this appears to be a coincidence. Emperor Gaiseric: The Emperor Gaiseric alluded to in volume 10 was based on the actual King Genseric who ruled the Vandals' kingdom in Europe in the 5th century. He was famed as a brilliant general who was seen as a threat even to the Roman Empire. In the manga, Gaiseric is said to have created a vast empire, similar to the Romans, that was destroyed by God's wrath. He banded together his small tribe and brought them great fame as a kingdom that exercised its authority in the Mediterranean region. It is hinted that Emperor Gaiseric survived his fallen empire in the form of the Skull Knight, a recurring character who aids Guts and stands in opposition to the God Hand. Emperor Ganishka: The Emperor Ganishka, working as Griffith's enemy in Berserk, was based on King Kanishka, who ruled over the actual Kushan Empire, a vast empire in India and Central Asia during the 2nd century. He was also a profound Buddhist and adorned his empire with its respective figures and promoted it vigorously. Like his real-life counterpart, Ganishka also decorates his palace with famous Buddhist and Hindu figures, but has demonized them to suit his nature. Mozgus appears to be based on Ivan the Terrible, due to his daily routine of slamming his face into the ground during prayer and his biblical methods of execution. Aleister Crowley appears as a character in To Aru Majutsu no Index. Of course, the real Aleister Crowley wasn't nearly so... pretty. Most of the cast of Rose of Versailles. Most of the cast of Le Chevalier d'Eon. Read or Die has several characters who are actually clones of historical ones, such as Beethoven and Mata Hari. Many of the characters from Vinland Saga are actually historic people, among them Canute and Sweyn, and possibly even the Jomsvikings. There was also an actuall Thorkell the Tall who fought for the English and joined Canute, but it's not known if he was really a 3 meter giant who could kill a hundred men with his bare hands. Vision of Escaflowne has Isaac Newton as the Big Bad. Axis Powers Hetalia has several brief appearances of historical characters, often as the bosses of the nations. A subset of this is Shipping said historical characters with the nations they rule over. America/Barack Obama, Prussia/Frederick the Great, France/Joan of Arc and England/Queen Elizabeth I are... quite popular among fanworkers. Similarly, there are having them simply interact with the nation-tans. There's even one where Benjamin Franklin figures out America's true identity. From Seikon no Qwaser, Eva Silver is actually Eva Braun, the former mistress of Adolf Hitler. And even major protagonist Katje is somehow connected to the last royal family of Russia, though it's not exactly clear if she's merely their descendant, or actually some sort of time-warped/cloned version of Tsaritsa Alexandra Fyodorovna. The Life and Times of Scrooge McDuck, by Don Rosa, sets its main character in various decades from the 1870s to the 1940s, featuring such characters as Murdo Mac Kenzie, Wyatt Earp, and Theodore Roosevelt. Jonatan Hickman's SHIELD. Every single scientific genius since Imhotep was a member of the Ancient Tradition of The Shield. And, as of the 1950s, Leonardo da Vinci, Isaac Newton and Nostradamus still are. In the Elseworld Dark Masterpiece, Leonardo da Vinci inspired a Renaissance Batman. In the Elseworld Scar of the Bat Eliot Ness becomes a 1920s Batman! Another Elseworld, Detective #27, features Theodore Roosevelt, Allan Pinkerton and Kate Warne as founders of "The Secret Society of Detectives". Later, the story includes Babe Ruth (leading to an inevitable pun on "bat-man" and a subtler one on All-Star #3), Sigmund Freud, and Franklin D. Roosevelt. Gaius Julius Caesar frequently appears in Asterix. Less frequent, but still recurring, are Cleopatra and Brutus. Various historic storylines worked into The Sandman, especially the "Distant Mirrors" arc, which features Emperor Augustus ("August"); Maximilien Robespierre ("Thermidor") Emperor Norton ("Four Septembers and a January") and Harun Al Rashid ("Ramadan"). William Shakespeare also appears, cameoing with Christopher Marlowe in "Men of Good Fortune" and then getting two stories of his own - "A Midsummer Night's Dream" and "The Tempest", the latter being the series epilogue. Again, Anastasia, which also throws in (an already dead) Grigori Rasputin. Most of the characters in Pocahontas, albeit fictionalised. The Pirates! In an Adventure with Scientists! includes (heavily fictionalized versions of) Charles Darwin and Queen Victoria. William Shakespeare, Christopher Marlowe and Queen Elizabeth I, as well as the rest of the theatre company, in Shakespeare in Love. Grand Duchess Anastasia and her grandmother from the 1950s film Anastasia and its animated remake. The 1939 film of The Hunchback of Notre Dame features King Louis XI of France. The Mystery Science Theater 3000-bait film Quest of the Delta Knights has a young Leonardo Da Vinci as a central character - then proceeds to posit that all his great ideas were just ripped off from Archimedes. Nikola Tesla appears in The Prestige. Shanghai Knights includes as a supporting character a young Arthur Conan Doyle. Sherlock Holmes meets Dr. Sigmund Freud in The Seven Percent Solution. The Cinderella adaptationEver After has Leonardo da Vinci as the eventual fairy godmother figure. Bill and Teds Excellent Adventure has loads in order to pass a history exam. Manfred von Richthofen (the Red Baron) appears in several WW I movies, amongst which Wings, Hells Angels and The Blue Max, and has a rather large role in several movies named after him. Of course, many Alternate History stories feature real historical figures, both major and minor. The Temeraire series has a whole list of them in various supporting roles. Harry Turtledove's Worldwar series features Molotov among the major characters, as well as more minor historical personages as Walter Dornberger and Mordechai Anielewicz. Some big figures (such as Einstein and Mao) get cameos. There is a very odd tendency lately to turn historical people into detectives. This includes Elizabeth I, Abigail Adams, and Jane Austen of all people. The still-more recent tendency to turn historical people into monsters and/or monster hunters is even odder. Spanish novelist and war journalist Arturo Pérez-Reverte noticed that his 12-year-old daughter's History book had only a paragraph for the 17th century, the Spanish Golden Century. Wanting to solve the situation, he wrote a series of adventure books starring a fictional sword-for-hire, Captain Alatriste, who gets involved in state conspiracies and meets kings and important figure and fights in important battles. Spanish writer Francisco De Quevedo is a recurrent character as Alatriste's personal friend. They made a movie of the series. Philippa Ballantine's novel Chasing the Bard is about Will Shakespeare saving not one but two worlds from an Eldritch Abomination type being. Most of the characters in Conqueror. The Protagonist is Genghis Khan. Low-key example in The English Patient: Almasy and the Cliftons. Real people, with minor historical significance. The "Night's Dawn Trilogy," by Peter F Hamilton, brings back 2 characters from the past as souls possessing bodies of the living: Fletcher Christian and... wait for it... Al Capone. Stephen Baxter's and Arthur C. Clarke's novel, Time's Eye, has a large host of characters from various time periods: Alexander the Great, Genghis the Khan, and Thomas Edison, to name several. The Divine Comedy is full of these. Granted, the most famous ones are all Take Thats. And no-one has heard of most of Dante's historical figures, except for his saints and one or two guys in Limbo. Farinata degli Uberti? Arnaut Daniel? Charles Martel of Anjou (not even the famous Charles Martel)? Who remembers them for anything but being in the Commedia? George Eliot's Romola, set in fifteenth-century Florence, features Savonarola in a prominent role. It also includes walk-ons by figures like a very young Niccolo Machiavelli. The entire cast of Hilary Mantel's Wolf Hall, which stars Thomas Cromwell (a Third Person Person) and features, among others, Cardinal Wolsey, Henry VIII, Anne Boleyn, Jane Seymour, and so on, and so on. Includes an extensive Take That against Thomas More. Similarly, the entire cast of Hilary Mantel's A Place Of Greater Safety, which stars Robespierre, Camille Desmoulins, Danton, and many others. Robespierre, Danton, and Marat appear in Victor Hugo's Ninety-Three. A fairly large percentage (possibly a fair bit over 50% - this troper hasn't checked everyone) of the characters in the Flashman novels are historical personages, as the eponymous character has a knack for getting himself involved in just about every crazy military campaign that happened during the years covered in the books (occasionally on both sides). Teddy Roosevelt and J.P. Morgan appear in The Alienist. As the titles suggest, William Shakespeare appears in The Science of Discworld II: The Globe and Charles Darwin appears in The Science of Discworld III: Darwin's Watch. In Scott Westerfeld's Leviathan, Charles Darwin not only creates the theory of evolution by means of natural selection, but also the 'Life threads' or DNA and how to genetically enhance and manipulate/combine elements of animals. Also, Nora Barlow, his granddaughter, is a major character. Though they have yet to appear, Austro-Hungarian Emperor Franz Joseph, then first lord of the admiralty Winston Churchill, and several other major political leaders have had a bearing on the plot. The Grimnoir Chronicles has John Joseph Pershing and John Moses Browning as major characters, and Sullivan has some unpleasant dealings with J. Edgar Hoover near the beginning. The Sano Ichiro series, which takes place in Edo-period Japan and uses at least two real-life figures from that period in every book: Shogun Tokugawa Tsunayoshi, who employs Sano as his sosakan, and Chamberlain Yanagisawa Yoshiyasu, who has received a Historical Villain Upgrade and serves as Sano's main antagonist for many of the books. The Shogun's real-life mother, Keisho-in, also makes several appearances throughout the series. Several appear in the novels of J. T. Edson. Calamity Jane got her own series, and Belle Starr plays a major role in several novels. Outlaw John Wesley Hardin and Cattle Baron Charles Goodnight play significant roles in individual novels. With the exception of Flashman, his wife and his father-in-law, nearly every major and minor character in the Flashman series is one of these. Arthur Wellesley, 1st Duke of Wellington, plays a role in the Gaslamp Fantasy Sorcery and Cecelia..
Hiob von Luzern and Alexander the Great appear in A Dirge for Prester John. HBO has had several dramas in historical settings that make use of this trope. Deadwood, Rome, and Boardwalk Empire are period dramas with many such characters. Showtime has also mined this territory with The Tudors and The Borgias. Frequently done (with various degrees of historical fidelity) in series involving Time Travel, such as Doctor Who, The Time Tunnel and later seasons of Quantum Leap. Nu-Who, in particular, has the "Historic Celebrity Episode" every season. Series 1 had Charles Dickens, series 2 Queen Vicky and Madame de Pompadour, series 3 William Shakespeare and Elizabeth I, series 4 Agatha Christie, series 5 Winston Churchill and Vincent van Gogh and series 6 Richard Nixon, Captain Avery, Adolf Hitler and alternate universe versions of Dickens and Churchill (though the last three weren't the focus of the story). The classic Doctor Who series had a few scattered around as well, particularly in the First Doctor's era-Marco Polo, Kublai Khan, Maximilien Robespierre and Napoleon Bonaparte, Nero and Richard the Lion Heart, Abraham Lincoln, Catherine de Medici, Doc Holliday and Wyatt Earp, just to name a few. The Fourth Doctor nearly had a run-in with Leonardo da Vinci. The Fifth Doctor (kind of) had a run in with King John. The Sixth Doctor also ran into George Stephenson and H.G. Wells, while the Seventh Doctor had to deal with the Rani kidnapping Albert Einstein and Louis Pasteur. References to other famous figures of history were constantly dropped by each incarnation of the Doctor. Jack of All Trades, which portrayed Napoleon Bonaparte as... ah... a crazy little person foaming at the mouth. Eliot Ness and Al Capone of The Untouchables (this includes The Movie). Practically every important historical figure who lived in the early 20th century (1908-1920) appeared as a major or minor character in almost every episode of The Young Indiana Jones Chronicles. The Syfy channel original series Sanctuary has Nikola Tesla and Jack the Ripper among its regular cast. Deadliest Warrior does this with William Wallace vs. Shaka Zulu, Jesse James Gang vs. Al Capone Crew, Attila the Hun vs. Alexander the Great, and Vlad the Impaler vs. Sun Tzu. Hannibal Barca (Hannibal of Carthage) is also confirmed to be in Season Three. Murdoch Mysteries has featured Arthur Conan Doyle, Nikola Tesla, Buffallo Bill and Annie Oakley, H. G. Wells, Inspector Marcel Guillaume of the Surete (the Real Life inspiration for Maigret) and Canadian Prime Minister Wilfred Laurier. Mad Men, naturally, went the obscure route. Despite being a period drama, they only had one semi-major historical character was the season 3 client Conrad "Connie" Hilton (of the hotel chain). Numerous prominent figures from mid-19th-century Tokyo appear in Jin; several are majar supporting characters, and at least one, Ryoma Sakamoto, arguably is as much a main character as the show's eponymous time-traveling doctor. Evita is a Rock Opera musical about the life of Eva Perón, First Lady of Argentina from 1946 to 1952. Other historical domain characters include Juan Perón, her husband and President of Argentina, Agustín Magaldi, a tango singer, and Che Guevara as the story's Interactive Narrator. In Little Shop of Horrors, Clare Booth Luce puts in an appearance, though she's referred to simply as "Mrs. Luce". Lincoln and Washington are two of the only humans that can be summoned in Scribblenauts. Leonardo da Vinci as a Bishonen, and Lisa del Giocondo as his love interest, in Elite Beat Agents. The real Lisa was already married, but this is not the kind of game where that matters. And it's not like he ever courted someone to the music of Queen, anyways. In a similar vein, the first Ouendan has a fat Cleopatra who decided to have her slaves build a pyramid... to lose weight and impress Mark Antony. Practically the entire cast of Jeanne D'Arc. Pick any historical game by KOEI. ANYTHING. Lionheart: Legacy of the Crusader managed to incorporate Leonardo, Shakespeare, Cervantes, Cortez, Joan of Arc, Torquemada, and Queen Elizabeth I all into a single narrative, and even managed to Hand Wave most of them living within a few blocks of each other in 1588 Barcelona. The indisputable master of this trope has to be Martian Dreams, a Worlds of Ultima game. It features a plethora of 19th century big names in an adventure on MARS, including Sigmund Freud, Theodore Roosevelt, Wyatt Earp, Marie Curie, and Rasputin. A lot of the characters in Shadow Hearts. Most famously, Anastasia is a party member in Covenant... with Rasputin as a major enemy. Al Capone shows up in From the New World. Although he only appears in flashbacks, Leonardo da Vinci is (as the title suggests) heavily involved with the plot of Secrets of Da Vinci: The Forbidden Manuscript. One of the French kings is also a character in the game. In the Sierra city-building game Pharaoh, you play your way through all of the ruling dynasties of ancient Egypt; this includes the final ruling house, the Ptolemies, if you add the expansion pack Cleopatra: Queen of Kings. Both of the Assassin's Creed games use this trope, particularly Assassin's Creed II with the young Leonardo da Vinci. It's the findings of famous people that drive the plots of the Uncharted games. The first game had Sir Francis Drake (who Nate claims to be a descendant of), the second game had Marco Polo and the third game will have Lawrence of Arabia. The Thrilling Adventures of Lovelace and Babbage. With occasional cameos from characters like Isambard Kingdom Brunel, Queen Victoria, and Charles Darwin. Amazoness! features Sappho as a recurring character. Dawn of Time has Gideon Mantell and Richard Owen. The Dreamer has many historical figures in it, including Nathan Hale. Dresden Codak features several historical figures in cameo roles, but a recurring character in the earlier strips was Tiny Carl Jung. Pretty much the main premise of Hark! A Vagrant. The New Adventures of Queen Victoria, of course, has several. Kevin and Kell has Dorothy's paramour Douglas who turns out to be the legendary hijacker D.B. Cooper. Fun fact: in this universe, he's a squirrel. Balderduck is full of historical characters. Some of them include Julius Ceasar with bad parenting skills, Sir Francis Drake working at McDonald's and Van Gogh watching Reservoir Dogs. Lovecraft Is Missing is all about . . . H.P. Lovecraft going missing. Being a story about time travel, Times Like This has the occasional famous or semi-famous historical guest character. Many bit part and recurring characters in Liberty's Kids. Several minor characters in Futurama, though mostly as only as heads in jars. 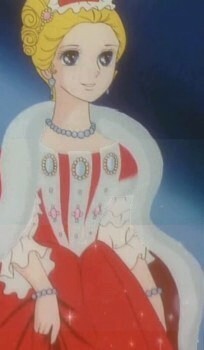 Princess Sissi is about Elizabeth of Bavaria. Time Squad is about a small police unit traveling through time making sure famous people do what they're historically famous for—if Copernicus ever forgets the Sun existed or George Washington Carver manifests an Evil Twin, the Time Squad will be there to fix it.